While looking for nail inspiration for an upcoming Vegas trip, I came across Topshops' in-house nail salon, Wah Nails. 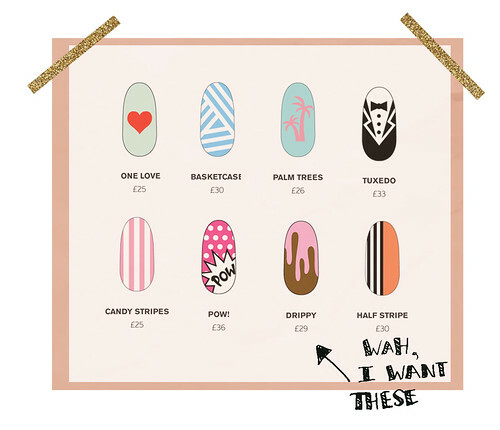 I was instantly smitten with this London-based nail salon whose mantra is "whatever you can dream up, can be created on your fingertips". After I did a little more research, I found out that they are only based in England...Womp. But it doesn't matter, their nails can still serve as pure inspiration to us Statesiders! How cute would the tuxedo one be in a light brown?